If modern UI apps can't be opened using administrator account in windows 2012 R2 internet explorer, follow the article. When you install a Windows 2012 R2 server, if you login as Administrator and try to run any Modern UI Apps (such as Internet Explorer) you’ll get this error message: “This app can’t be opened using the Built-in Administrator account please sign in with a different account and try again.” or “This app can’t be activated by the Built-in Administrator”. You can either create a new user account in the Control Panel and then login as that user. Press the Windows key + R to bring up the Run box, and then type secpol.msc. Press Enter. 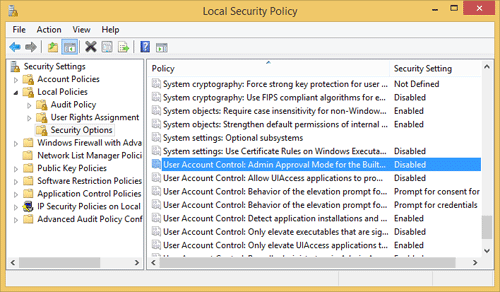 On the Local Security Policy window, navigate to Security Settings –> Local Policies –> Security Options. 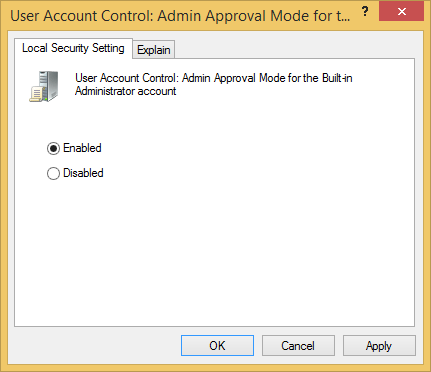 On the right panel, double-click on the option “User Account Control: Admin Approval mode for the Built-in Administrators Account” and enable it. Click on Apply and exit Local Security Policy. Press the Windows key + R to bring up the Run box, and then type regedit. Press Enter. 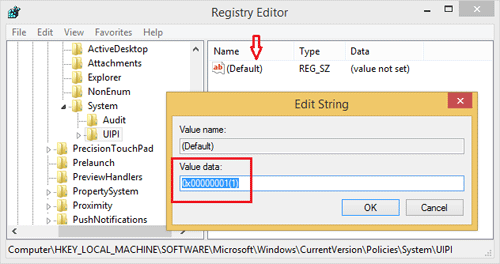 On the Registry Editor window, navigate toHKEY_LOCAL_MACHINE\SOFTWARE\Microsoft\Windows\CurrentVersion\Policies\System\UIPI. On the right side, double-click on default and change the value to “0×00000001(1)”. Click OK. Restart your computer. Now you should be able to run Modern UI Apps using the Built-in Administrator account.